There is something about Vermont that really calls to me. I am not sure if it is the pastoral story of having an idyllic connection with nature, living off the land…take your pick… Vermont, in my eyes, tends to get it right. The cheesemakers festival this year was no exception. I was so looking forward to this event. Most of the incredible cheeses that I have had all come from Vermont so I was excited to meet the cheesemakers, talk about their philosophies, and see what drives them. 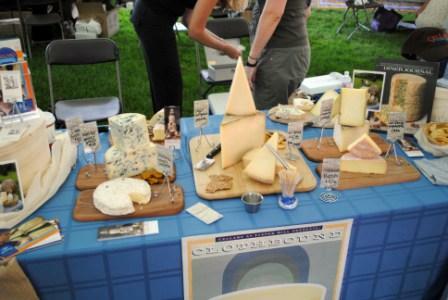 Over 50 cheese farms attended this year’s festival. Large and small, cow, goat and sheep cheese farms were there to make their products available for everyone to appreciate. I reconnected with old friends from the Mt. Mansfield cheese class I took, I met people who were responsible for cheeses that I admired, and I tried a plethora of cheeses that were completely new to me. Did I try some cheeses that I didn’t like? Perhaps…but the enthusiasm of the cheesemakers and their craft won me over to where I could only appreciate the sheer joy they had in making cheese for everyone to share. This was the first time that I actually attended an event like this to where I was “the press”. I have to admit..this was pretty cool. I was given early entry with the opportunity to meet and sample before the rest of the public mobbed the tables. I met with cheesemakers, cheese farm owners, distributors, beer brewers, wine makers, chocolatiers…all from Vermont. There were a number of places that stood out and I will definitely highlight them in later posts, but I just wanted to leave everyone with a general impression of what this festival means. I was thankful that such an event existed. There is such a hype now about the locavore movement, but this epitomized that without pretension. 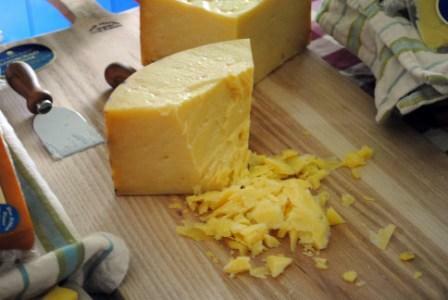 Everyone was happy to share, the cheesemakers were enthusiastic, and the public was receptive. 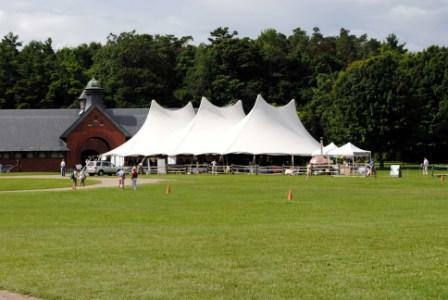 Maybe I was swept away with that pastoral ideal, but it was very tangible for me as I drove into Shelburne farms and saw the tent in the distance. I would encourage every cheese enthusiast to make a trip to the festival next year. You won’t regret it. I will post some specifics later, but just take from these observations that it is an exciting time to be involved with cheese and the community that creates it.